You are here: Home / Setup & Management / What are beneficial shareholders and how are they secured under Cyprus law? What are beneficial shareholders and how are they secured under Cyprus law? Cyprus law recognizes the concept of trust both under statute and in equity. Under this concept it is possible for someone to hold the legal title of a property for the benefit of a third party. So to take the example of shares in a private company. The registered owner of the shares may hold the shares in trust for the real owner. The registered owner is called “the nominee” and the real owner “the ultimate beneficial owner“or “UBO“. In this way the UBO may protect his identity since his personal details will not be available at the public registry. So this concept is usually used for reasons of anonymity. The question often arises , how is the UBO secured that the nominee will follow his instructions and that the shares at the end of the day belong to him? There are a number of ways to achieve this. First it is the trust deed. This is declaration under which the nominee declares that he holds the shares for the benefit of the UBO. Secondly there is the services agreement that is in place between the firm or person that provides the nominee service and the UBO. Thirdly the UBO may ask for the original share certificates that are issued in the name of the nominee shareholders to be under his possession. Without the original share certificates it is not possible to effect a transfer. Fourthly, some execute instruments of transfer of shares executed without date as well as undated letters of resignation by the nominee directors. Overall, the Cyprus legal system provides security and certainty to the UBOs that their property and investments are not in jeopardy. For more reading on the matter click here. Download FREE our ebook "Cyprus Companies in a Nutshell" and contact us for FREE legal advice and guidance on any aspect of Cyprus company formation. Contact us now for free guidance and a quote. Join our FREE newsletter and stay tuned with updates in Cyprus business news and company law. Acquire the Cyprus citizenship by investing just 2mln euro in property in Cyprus or any a Cyprus company. Simplified straightforward procedure introduced by the government. CyprusCompaniesPortal.com belongs to Christophi & Associates LLC law firm. 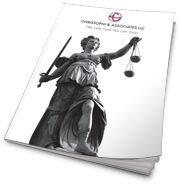 Christophi & Associates is an international law firm based in Nicosia, Cyprus, established in 2001. The firm offers both corporate and litigation services. Notice to all companies to settle annual levy for past years. Get Cyprus tax residency by staying 60 days in Cyprus. Find out How a Cyprus Company Operates. "Cyprus Companies in a Nutshell"